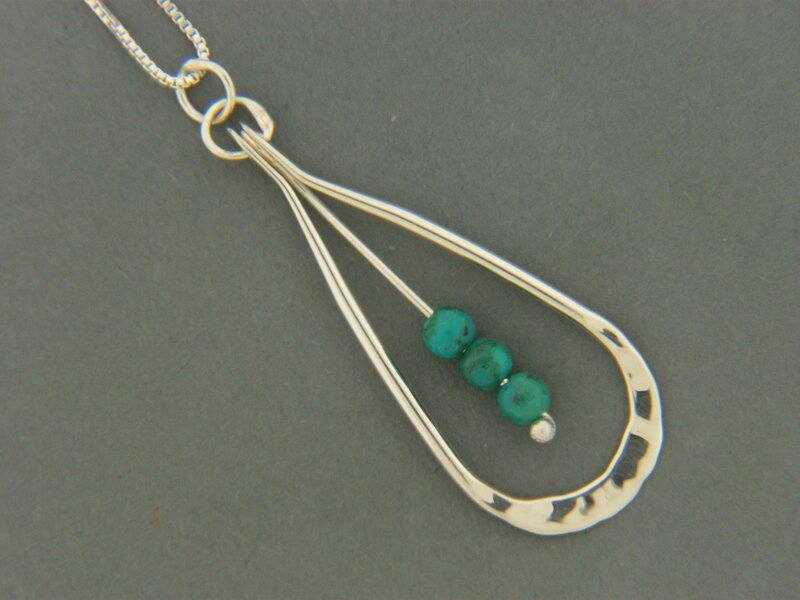 Handcrafted sterling silver .925, 14 gauge tear drop with 4 mm semi precious beads in the center. Choose your chain length and stone. Shown with turquoise beads.